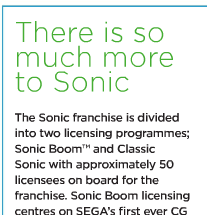 Are we sure they’re just not lumping ‘Modern’ Sonic with Classic? There’s a chance that they may be considering him classic now that Boom has been more active lately. Yeah I agree. I think they are just using the term “classic sonic” to refer to main canon. “Classic” as in the good ol’ familiar Sonic, not the scarf redesign. That’s my theory. That’s the dumbest thing I ever heard. Modern Sonic is still modern, the Boom series is a spinoff and not the actual cannon. To classify Modern with Classic would not make sense. If that’s the dumbest thing you’ve ever heard then I envy you. You’re right, I should have been specific. Dumbest Sonic related thing I ever heard. I think I might actually envy you a lot more now. I hope you don’t take this as me being dismissive. As a fan, I get how it can seem like a franchise sin to dare to lump Modern Sonic in with Classic Sonic. I personally find it really weird. But you have to understand that Sega isn’t dealing with fans at these licensing conventions. They’re dealing with businessmen– toymakers, book publishers, clothes makers, people who may not actually be into video games at all or have time to play them a lot but still want to capitalize on Sonic’s image. Businessmen new to working on Sonic stuff can’t be expected to be well-versed in Sonic lore, so Sega has to explain to them what the heck a Sonic is and why they should care about him in ways that make sense to the businessmen. Even if those ways don’t really make sense to you or me. I was about to leave this same comment. Classic here is used more as “familiar” or “normal” rather than “old”. The designs the fans know as “Classic” and “Modern” Sonic are to the marketing and licensing departments of Sega both part of the Classic franchise as opposed to the Boom franchise. Sega you’ve created a mess of a problem here! Too many Sonic’s to count and hard to tell which is which! What’s that supposed to mean and which is it make up your mind?! Funny they’d mention that… because unless “modern” Sonic is being lumped under the “classic” title, I’m not getting suckered in. I’m sick of Classic Sonic and all the reused poses and graphics from back when Classic Sonic mattered, and I’m sure as sugar not wasting any money on any Boom products. I’ve had an immense falling-out with Sonic as a collector in the past ten years. Aside from First4Figures’ statues, the brand has become truly worthless to me…. and that’s coming from someone who has loved Sonic for two decades now. Truly a shame…. but they seem adamant on alienating a good chunk of the fandom. I’m hopeful that they’ll produce something of worth this year… but expectant I am not. The problem is that it shouldn’t be bias to one side of the fandom. Honestly, I’m getting sick of the nostalgia train. I do like Classic Sonic but there’s a reason why it’s called “classic” not modern. Enough of the past, I want a modern Sonic that’s strictly modern like Sonic Unleashed. I’m not saying to forget about Classic Sonic but please keep the main focus on modern since it’s Modern Sonic. To be fair…. the word “classic” means always in style. To many, Classic Sonic could refer to Sonic as a whole, separate from Boom Sonic as a whole. 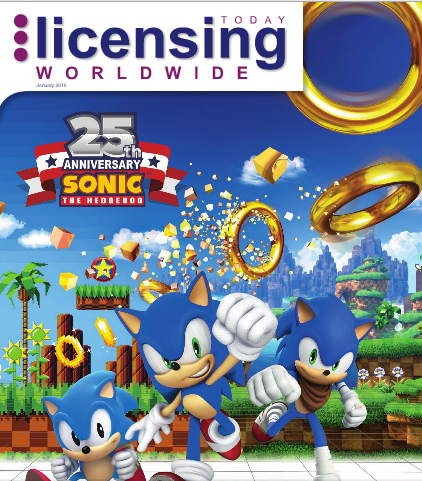 Why would classic Sonic and Modern Sonic need separate licenses???? Because Classic is known as the old style of Sonic which includes his classic look and 2D gameplay style. While Modern is known for the new look and 3D gameplay. A better word for Sonic as a whole is retro. perhaps the annyverary Modern title will be revealed this year, but released the next one. ? huh? Huh, that’s interesting. With all the talk Sega has been giving about Classic Sonic, it wouldn’t surprise me if it turns out Sonic Team has been working on a completely 2D Sonic game. But still, having no license for Modern Sonic is really weird. I wouldn’t be shocked if they included Modern Sonic with the “Classic Sonic” thingy for “classic” could just mean its for current or older fans while Boom is to bring in new fans. Don’t know if that makes sense, but it makes sense to me. I’d be happy with just Classic and Boom. There’s no need for 3 types of Sonic and Boom Sonic is basically modern Sonic as he’s the most modern design. I’m a sicker for classic Sonic. I’d love it if he went back to being the main design. I think this has been taken out of context. “Classic Sonic” must be how they mean Sega Japan’s Sonic. That’s all. So the Modern Sonic, who to be honest has some good games and a small smatter of resepct under the belt, is less important to Sega than Boom Sonic, who failed on no less than three fronts and is considered a joke to almost everyone. …Yeah, that makes sense! Almost as much as calling Modern Sonic ‘Legacy Sonic’! Which…I THINK they did. Maybe I’m wrong. Maybe they’re just lumping Modern into Classic like a lot of people say. It certainly feels that way with every Sonic game “going back to the roots”, which I’m not in favour for. It’s more than likely that they just roped Modern Sonic in with the Classic Sonic line for the sake of simplicity. I mean to anyone who isn’t a fan playing the games, how confusing would it be to try to make stuff based on what’s supposed to be three different kinds of styles of Sonic? It’d be like trying to explain Spider-Man 2099 and Spider-Man Unlimited to a newcomer comic reader. If anything, it makes sense to rope Modern in with Classic since when you get down to it Modern is just an older Classic and Classic is just a younger Modern. The overall style and aesthetic are different, sure, but in a sense it’s more like two snapshots of the same kid in different stages of their life. If that is the case, I don’t mind it that much, so long as Modern Sonic in the games isn’t going to be left out in the slightest, and if anything that doesn’t sound like the case, what with Iizuka’s latest remarks about how they weren’t going to change up Modern’s appearance in the next few years. That pretty much suggests that Modern will still be used for at least 5 more years including this one, so worry not. Is there going to be a new Sonic game or any merchandise in 2016, featuring green-eyed Nike-smile Sonic (not from Sonic Boom)? dreamcast sonic would be on the same era as Modern Sonic they look hmmm i could say basically the same . same shows ( except SA2 ) the same eye color the same attitude a little bit taller but generally the same . boom sonic is different and its appear ant and also annoying . dreamcast sonic is the same thing as modern sonic man so whatever do you mean. no modern sonic merchandise? wow just wow no love for modern sonic wel thats just fucked up and disappointment. That doesn’t sound likely at all. I wouldn’t agree at all, but to each their own. First Sonic #292 is TBA and now there’s no mention of modern Sonic. It seems like Sega’s trying to phase out modern Sonic in favor of Sonic Boom. I might be wrong but it seems like too much of a coincidence.